NOTE: To see the FSU bylaws click here. This document contains FSU Executive Committee adopted policies along with current practices. The adopted policies contain the date of such adoption. An adoption date followed by the words general assembly indicates a policy adopted by the membership at the annual meeting or general assembly meeting. A policy without an adoption date is a practice that has been in place prior to maintaining an adopted policy document. The organization of the document is by policy topic and mirrors the topics of FSU Bylaws. Within each topic oldest adopted policy is listed first. The Executive Committee deliberates over the proposed FSU budget and will make recommendations to the General Assembly for approval. example, would be the issue of chancellor selection that we faced last year. 1. Proposed agenda will be sent 1 week in advance and will be ‘action oriented’. 2. The President will list the proposed agenda items in order of priority and with the amount of time allocated for each item. 3. All announcements, committee reports (when possible), and any other matters that do not require action be taken by the Executive Committee will be sent with the proposed agenda 1 week in advance. 4. The proposed agenda will be formally adopted/approved at the beginning of the Executive Committee meeting. 1) When a motion is made to call an e-vote, the motion must be seconded. 2) If the motion is seconded, the FSU Communications Director will initiate a 24-hour discussion period by email with the subject line that begins: “EX COM Evote Discussion”. During discussion, if three or more Executive Committee members say the motion requires in-person discussion and vote rather than online discussion and e-vote, the motion is tabled until the next meeting of the Executive Committee. 3) When the 24-hour discussion period has concluded, the FSU Communications Director will email a link to a Doodle poll to the Executive Committee with the subject line that begins with “EX COM Evote”. The Doodle poll must include the exact language of the motion. 4) The Doodle poll will stay open for 48 hours to give all members the opportunity to vote. When the outcome has been determined or the poll closes, whichever comes first, the FSU Executive Committee and/or the membership coordinator can take action to implement the motion without delay. Note: Any committee member can opt into a text message notification about evotes by communicating this request to the Communications Director. The FSU President stipend will be $7,000 –4/23/08. The FSU President stipend will be $8,000 – 4/7/11. The FSU President stipend will be $10,000- 4/13/13 General Assembly vote. 2) The FSU will then collect comments, suggestions, and questions via email and at one budget meeting to be held by April 1st. 3) The final/proposed budget is then emailed to all members, along with an explanation of budget categories and changes from the previous year, at least one week prior to the Annual Meeting where the budget is voted on. Executive Committee will vote on whether or not to recommend for ratification any pending contract agreement prior to the occurrence of the ratification vote. FSU Policy on the Bargaining Team. A bargaining team shall be established as the need arises. The President shall recommend, for approval of the Executive Committee, members to serve on the bargaining team to negotiate a successor Agreement or to negotiate agreements on any other subject of bargaining as agreed to by the FSU and the Administration. Bargaining team members for the successor agreement shall be recommended and approved no later than mid fall semester prior to the end of the contract, except under unusual circumstances. The bargaining team for the successor agreement shall consist of four to six members, and its membership shall be open to all members of the chapter. The constitution of the team should allow for proper representation of tenure stream and non-tenure track faculty members as well as librarians. Bargaining teams empowered to negotiate any other agreements shall be populated according to need. Membership on these teams shall be open to all members of the chapter. Terms of office shall cease upon execution of a new Agreement. Major developments in bargaining shall be communicated to the executive committee. A bargaining support Sub-Committee will be created with the purpose of providing the Bargaining Team with feedback on bargaining topics, proposals, and if decided, principles. The constitution of this Sub-Committee should allow for proper representation of tenure stream and non-tenure track faculty members as well as librarians. This Sub-Committee will typically be formed prior to the start of bargaining, or as the need for feedback arises during bargaining. The Sub-committee shall work in consultation with the Bargaining Team. In concert with the bargaining team, draft and administer a bargaining survey for all members. The Sub-Committee may ask by constituency separate questions (TT, pre-tenured TT, NTT, Clinical Faculty, or Librarians). A bargaining survey will be sent out no later than the beginning of the November in which the contract expires, except in unusual circumstances. The results of the survey will be shared with the executive committee, and some aspects of the survey will be shared with the membership. These aspects will be determined collaboratively by the Executive Committee and Bargaining committee, with input recommendations from the Bargaining support subcommittee. Based on the results of the survey, and feedback from the executive committee and members, the bargaining team and the bargaining support Sub-Committee shall develop topics, proposals, and if decided, principles, for bargaining. Regularly consult the bargaining support Sub-committee. Provide the executive committee and Bargaining Support Sub-committee with updates on major developments in bargaining. Provide updates to the membership on the status of different proposals being negotiated with the administration through emailed updates and as necessary, through scheduled meetings open to all members. Report to members the changes that were agreed upon with the Administration, prior to ratification, consistent with the stipulations of the MGL Chapter 150E. This can be done via e-mail. Organize informational meetings in which the proposed changes to the contract are shared, and in which members can ask questions about how those changes might affect their labor conditions. This should be done prior to the end of ratification of the contract. In non-bargaining years the FSU may organize a bargaining workshop or host an MTA bargaining workshop that will explain the process to interested members and that that will also serve as a means of recruiting potential bargain team members. Between Thanksgiving recess and the last day of classes, the Nominating Committee shall inform all members of the upcoming elections along with the timeline and procedures. Two weeks prior to the nomination period, the Nominating Committee will inform members of the upcoming election schedule along with election procedures. Nomination form is available on-line at 9AM EST on day one of the nomination period. Nominee submits completed form no later than 5PM EST on the last day of the nomination period. The Nominating Committee or designee will confirm receipt of Nomination form. Committee members review the submitted nomination forms to verify nominee is eligible. Committee prepares the slate of candidates. Campaigning rules and timeline information will also be sent with the slate of candidates. The Committee will work to set up a webpage within the FSU website that contains election information including the slate of candidates. This is the official period of campaigning. The FSU may sponsor a candidate’s forum during this time. The FSU cannot use any funds received from dues to promote any person’s candidacy. The FSU encourages its members to remain respectful when communicating to or from email accounts. A ballot (sent electronically) will be distributed to all voting members at 9AM EST on the first day of voting. The ballot will include the candidate’s name, department, title, and if voting software allows the 150 word statement. Candidate names will appear in alphabetical order by last name. An incumbent will include a notation. Halfway through the voting period, a reminder email will be sent to members. One week, will include a weekend. After voting ends, the Committee meets to count the votes. Any FSU member can be in attendance to witness the vote count. Committee informs candidates of election results. Committee prepares a document announcing the results. Committee informs the membership of the results. The President of the FSU and the Chair of the Grievance Committee shall be members of the JCC. Their term of office on the JCC shall be coterminous with their term of office as President and Grievance Committee Chair respectively. Prior to the end of every academic year, the FSU Executive Committee shall select 2 additional members from the same body to serve on the JCC for the subsequent academic year. Executive Committee members will be invited by the FSU President to run for the 2 JCC positions open to them. Should only 2 members express interest, they shall automatically be selected to serve on the JCC. Should more than 2 members express interest, a secret vote of all members of the Executive Committee will occur to elect 2 members. The top 2 vote recipients shall be elected. A quorum of 50% of voting Executive Committee members shall be required for the vote to proceed. All-member emails must be approved by the President or his/her designee prior to sending. Emails sent to all NTT members only need the approval of the Vice President. What Can Be Posted on Facebook or Twitter? • Policy is that this can include anything including solidarity with other unions, higher education, the MTA, FSU events, relevant media articles, anything from email blasts. • If the FSU is representing people on both sides of an issue, we should not take a position on this issue. 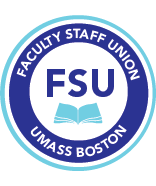 The FSU shall not release copies of the monthly bargaining unit lists it receives from Human Resources to unit members. If members seek bargaining unit salary or job title information they may request only specific portions of it. For example, an Assistant Professor in English may request such information for Assistant and Associate Professors in English or in the CLA. FSU POLICY PROPOSAL This document is to clarify and delineate the types of meetings of the FSU including meeting definition, notification procedures and meeting actions. 2. The meeting shall take place between April 1st and the end of the semester. 4. The FSU Executive Committee shall set the date and time of said meeting. a. The date shall be set no later than Spring Break. b. Members shall be notified no less than 30 days prior to the meeting. submitted no less than 21 days prior to the meeting. 1. All new business items are to be submitted in the form of a motion. Executive Committee via the FSU email account. advice on matters that impact the FSU budget. to be via the FSU email account. body. A recommendation will be, if possible, made prior to the meeting. a. The meeting agenda will be included in the notification. b. All relevant materials will be included in the notification. FSU financials and MTA actions. 2. These meetings are informational and do not include member voting. 3. All members in good standing are invited to attend. 4. Members will be notified of such meetings. a. Members will be notified of such meeting no less than fourteen days prior. being called less than fourteen days prior to the meeting date. be handled in a General Membership or Annual Meeting. 2. The meeting is limited to the specific issue that needs to be addressed. a. The meeting agenda states the specific issue. b. Only items on the meeting agenda may be discussed. c. No action can be taken on any item not on the meeting agenda. constituency (tenures, pre-tenure, non-tenure track and librarian). b. The President provides a rationale to the FSU Executive Committee. a. The FSU Executive Committee votes to hold a meeting. 1. The request is to be in the form of a motion. 2. Any supporting documentation is to be included in the request. Committee via the FSU email account. request to meeting date should occur so as to secure a meeting location. recommendation will be, if possible, made prior to the meeting. early as possible and no less than five (5) business days prior to the meeting.